Find vintage glass and antiques at Huddleston Farmhouse in Cambridge City on Saturday, June 8. To feed a family of 13 and the many travelers who passed through her farmhouse and inn, Susanna Huddleston undoubtedly preserved copious amounts of food. Fruits and vegetables from the Huddleston farm likely ended up in glass jars, carefully “put up” to provide food through long Indiana winters. Today, once-utilitarian mason jars have gained popularity among a devoted following of decorators, crafters, and artisans who use the glass containers for everything from drinking glasses and light fixtures to wedding centerpieces and snow globes. Eastern Indiana holds its own special place in mason jar history. 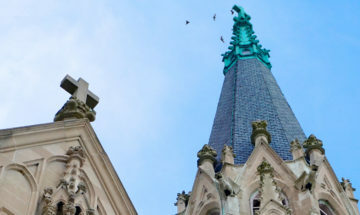 In 1887, the area’s natural gas boom inspired the Ball brothers — Edmund, Frank, George, Lucius, and William — to move from New York to Muncie, Indiana, to start a glass manufacturing business. Within a few decades, the Ball name became indelibly linked to the glass canning jars the company produced. Its “Perfect Mason Jar” pioneered in 1913 included a perfectly fitting jar, lid, and band in one unit, a boon to home canners. 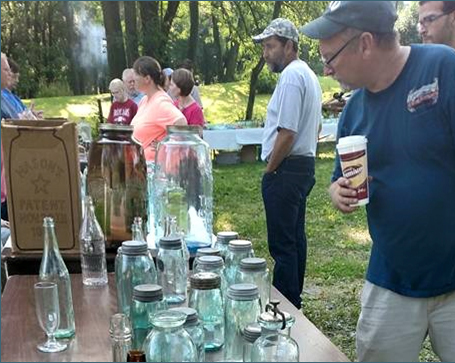 Devotees will find an array of mason jars and other antique glassware at the Huddleston Farmhouse on Saturday, June 8, when the Indiana National Road Association and local hosts Marty Troxell and Richard Leece present the Huddleston Jar and Antique Market. In addition to glassware, vendors will be selling antique and other vintage items in booths on the grounds. 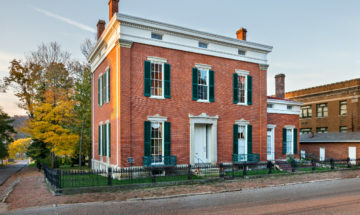 During the market, guests can tour the 1841 Huddleston house, including National Road Heritage Site exhibits on the lower level. 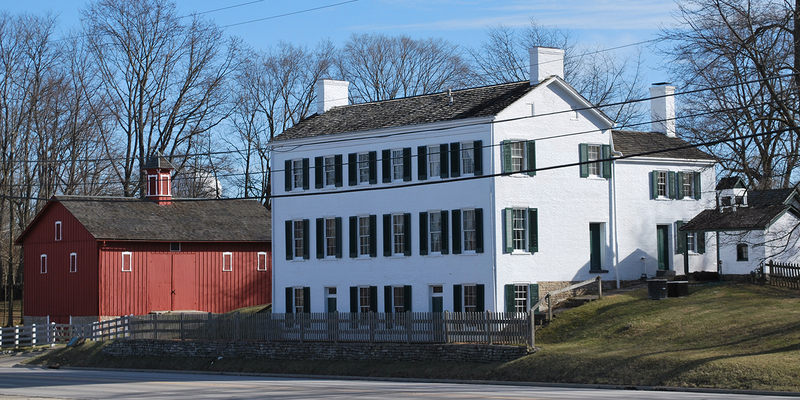 Tours of the house and exhibits take place at 11 a.m. and 1 p.m. on the day of the event. 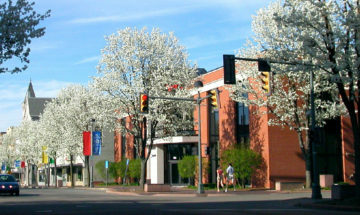 The Jar and Antique Market is free and open to the public from 9 a.m. to 3 p.m. Find additional details at www.indiananationalroad.org.